October usually brings scary films to the big screen, and this year is no exception, with the release of VENOM and HALLOWEEN. But if you’re not the horror movie type, there’s another genre taking over theatres: tearjerkers. So, put on your coziest sweater and pack your Kleenex. Here are three new films that’ll make you cry. In his directorial debut, Bradley Cooper delivers a modern love story based on a film you may have seen before. 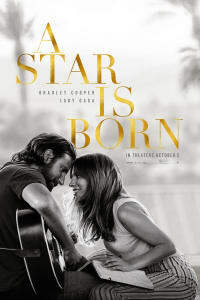 A STAR IS BORN is an intimate look at the lives of seasoned musician Jackson Maine (Cooper) and struggling artist Ally (Lady Gaga). The pair connect through music and fall in love, but Jack’s internal demons begin to tear them apart just as Ally’s career starts to take off. Both leads shine and share amazing on-screen chemistry; however, Lady Gaga as stripped-down Ally pushes the film to its highest potential. You’ve never seen, or heard, the superstar like this. Hear why we predict A STAR IS BORN will be nominated in multiple Oscar® categories, and get your tickets at AMC today. 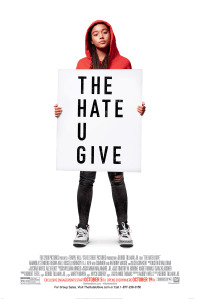 Based on the New York Times best-seller, THE HATE U GIVE is a tale of two worlds and one teen trying to keep her balance between them. 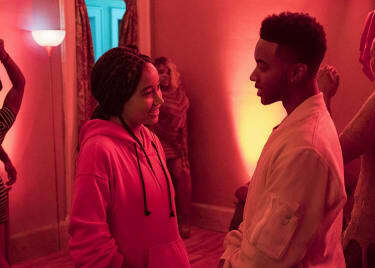 But after Star (Amandla Stenberg) witnesses the fatal shooting of her best friend by a police officer, her entire universe is shattered. Now, she must find her voice and stand up for what’s right. The tragic shooting is the center of the film, but underneath there is a powerful, inspiring message. At the TIFF world premiere, AMC spoke with director George Tillman Jr., Stenberg and other cast members. 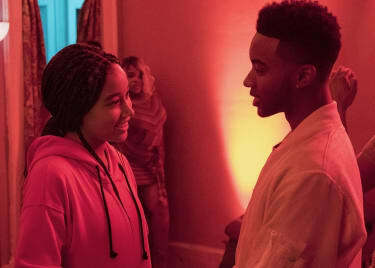 Hear what they had to say about the topical story, and get your tickets to THE HATE U GIVE at AMC today. Based on the best-selling pair of memoirs from father and son David and Nic Sheff, BEAUTIFUL BOY is an honest depiction of a family trying to cope with drug addiction. The drama, which stars Steve Carell and Timothée Chalamet, is heart-wrenching, raw and, at many turns, painful; however, there is also hope. AMC caught up with the cast at the film’s world premiere at TIFF. Watch our interviews and reactions from the screening, and get your tickets to BEAUTIFUL BOY at AMC, opening October 12.